Passion. Emotion. Nature and Culture. That is the meaning of wine that permeates the philosophy of the Carpineto Estate. A few weeks ago, I introduced you to a wonderful Rosso di Montalcino from Carpineto’s Montalcino property that is just being released on the market. Today, we’re focusing on another release from the producers Chianciamo/Montepulciano property. 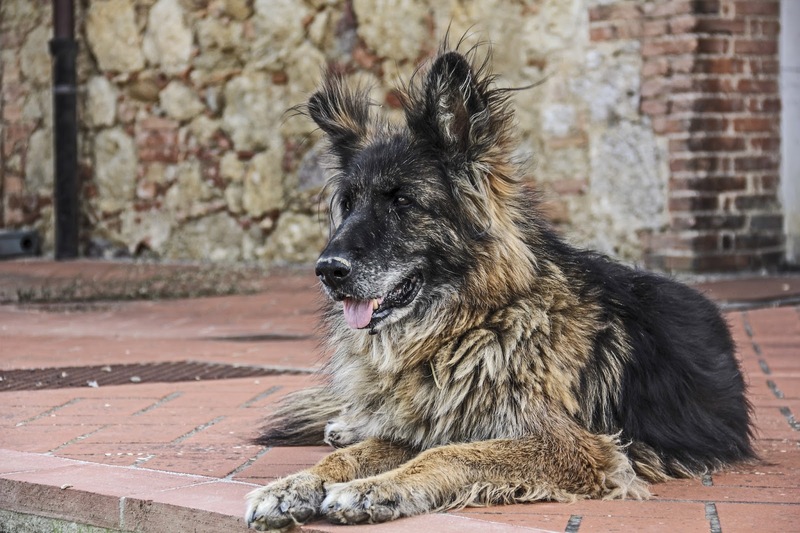 In addition to being the hub of Carpineto’s outstanding Vino Nobile production, Carpineto also sources the fruit used to craft their value line, “Dogajolo”, from this estate. The weather has been unbearably hot and humid recently so we’ve been reaching for cool white wines. 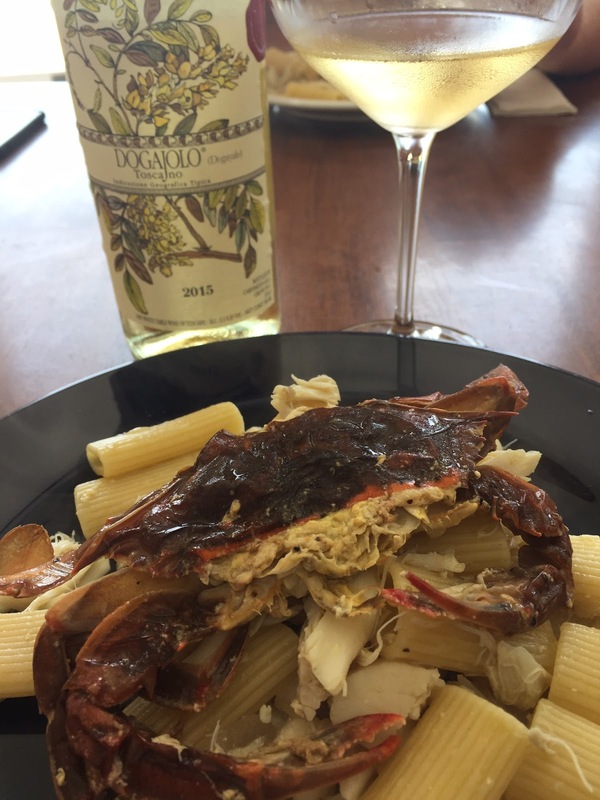 Carpineto’s 2015 Dogajolo Bianco hit the spot and was an ideal match for the Pasta with Crab below. In the glass, the wine is a pale golden color with plentiful aromatics of tropical pineapple and citrus fruit. Crisp and refreshing on the palate, the flavors echo the nose with a solid core of citrus, lemon grass and honeysuckle that are refreshing and rather surprisingly viscous. 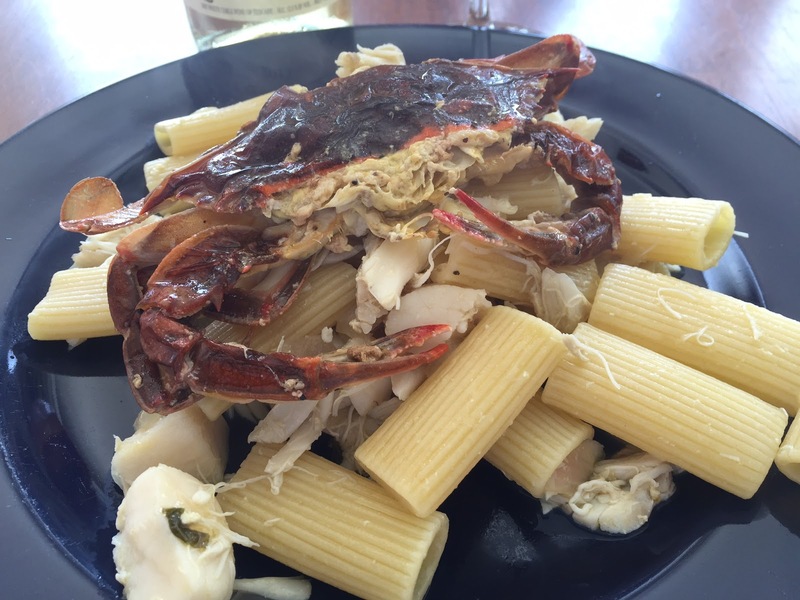 This $8 wine really delivers and was perfectly enjoyable with this seaside lunch. Dogajolo Bianco is a blend of Chardonnay, Sauvignon Blanc and Grechetto that is vinified in stainless steel and bottled in a screw cap. I applaud that too! 87 points and a great bargain. Before the pasta was finished, I sauteed the soft shells in some lemon, white wine and olive oil and helped myself to one as I cooked. Hey, Chef’s preference! While doing so, I opened another lovely white. The 2015 Principessa Gavi from Castello Banfi’s Piedmont estate is another excellent value from what is shaping up to be an excellent 2015 vintage. 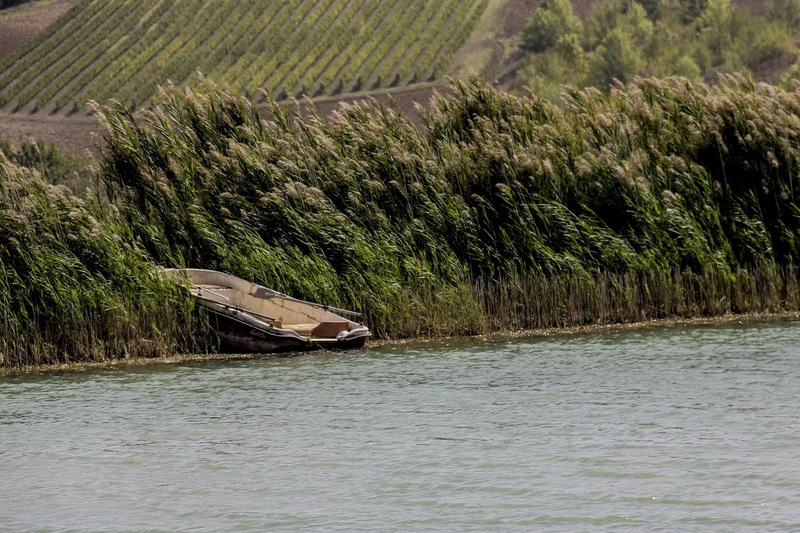 Made from 100% Cortese grapes grown in Piemonte, the Gavi DOCG zone was promoted from DOC status in 1998. The nose of the wine is replete with white flowers, peaches and citrus notes which carry through on the palate but add a distinctive, shaley minerally note that I love. 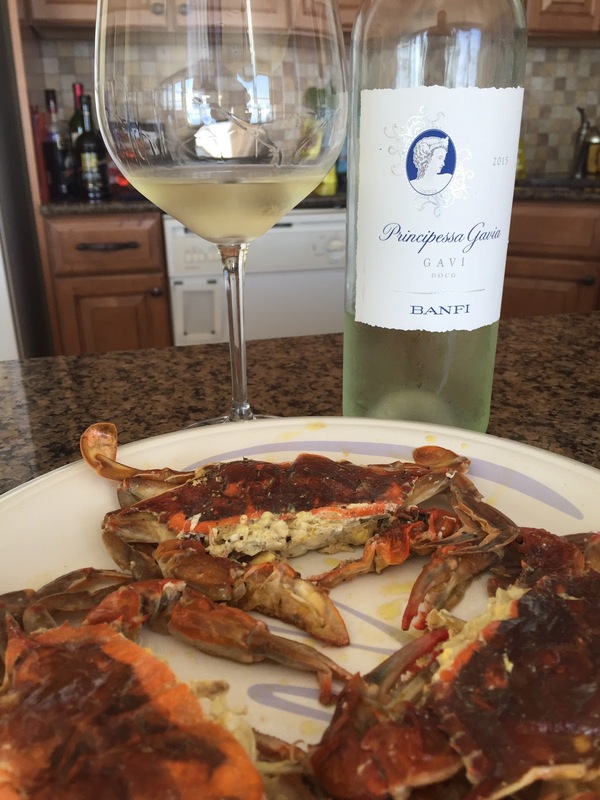 The crabs seemed to bring out a certain saline aspect in the wine that was very mouthwatering and before I knew it, almost half the bottle was gone before lunch! (Yes, it was nap time on the beach afterwards) Vinified completely in stainless steel, this retains its freshness from start to finish and is crisp, lively and refreshing. 87 points and another nice value around $13. Disclosure: Both bottles above were importer provided samples. Saute the soft shells in olive oil until they turn bright orange in color, about 5-6 minutes. A slight brown crust will form on the pan. Remove and set the soft shells aside and take the pan off the heat. While the soft shells are cooking, in a pan large enough to hold the rest of the seafood, saute the onion in extra virgin olive oil. 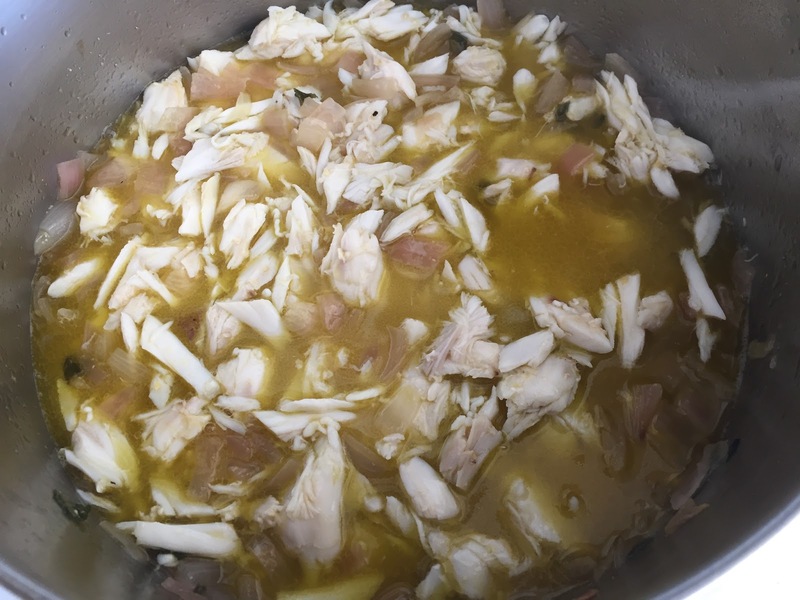 Once softened, about 3-4 minutes add the lump crab meat and warm through. Then add about 1 cup of white wine and simmer 3-4 minutes until the alcohol has completely been eliminated. By this time, your pasta water should be ready for the Rigatoni. Once the pasta is almost finished cooking, add the scallops to your crab sauce. If they are very large, you can halve them so that they cook faster – but they’ll only take maybe 1-2 minutes to cook in the simmering sauce. While the scallops are cooking, return the soft shell frying pan to the heat. Deglaze the pan with a bit of white wine, return the crabs to the pan for 1-2 minutes to warm through and spritz them with a bit of the fresh lemon juice. Garnish with basil and serve! This dish is very simple to make. It just takes a bit of timing to make it a successful endeavour. Do make sure your pasta water is ready when you need it to be, so start it boiling early.